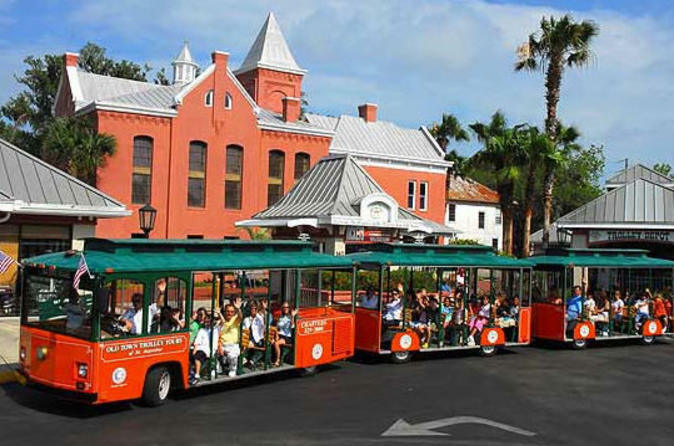 Sit back as the talented Old Town Trolley conductors share the history, attractions and sights of America's oldest city. 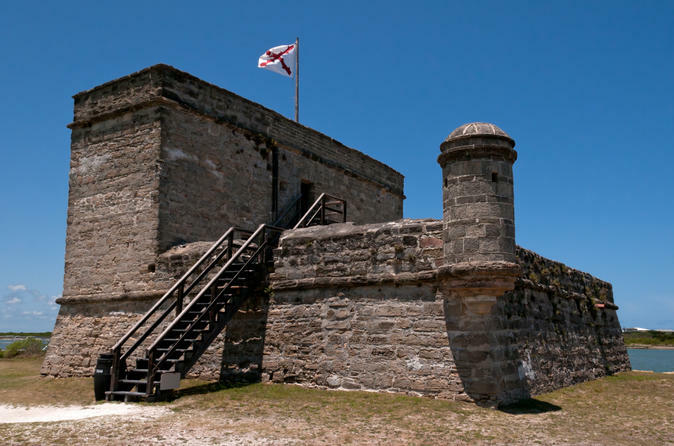 Founded by Pedro Menendez de Aviles in 1565, St. Augustine is a unique city filled with colonial Spanish neighborhoods, magnificent buildings and a charm all its own. The one hour tour features 19 stops and over 100 points of interest. Looking for the perfect way to propose or celebrate your anniversary or honeymoon? Look no further! 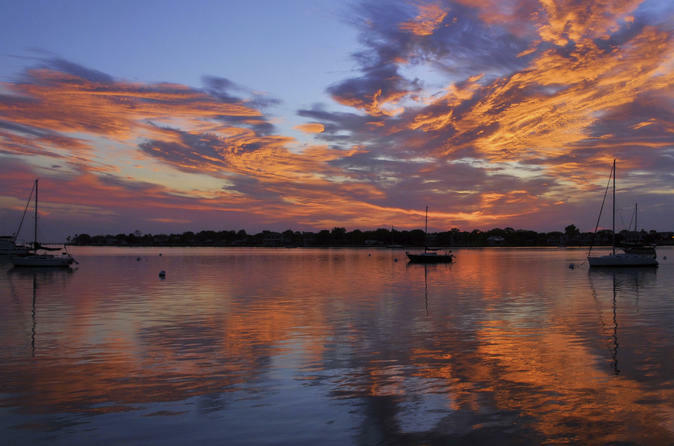 The Romance Sunset Helicopter Tour offers the most romantic setting in St. Augustine, approx. 98 miles from Orlando. 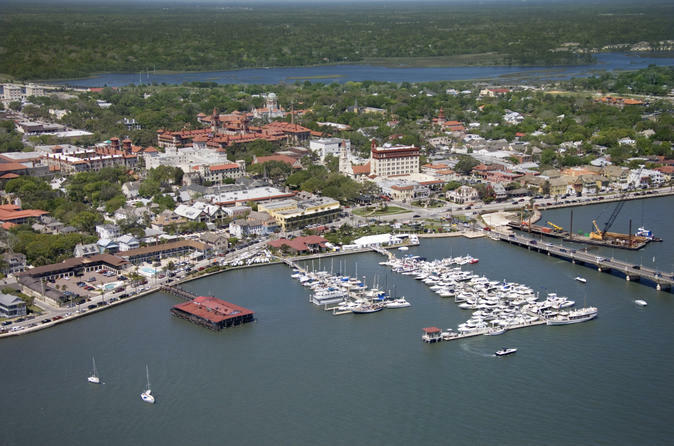 On this survey of downtown St. Augustine via Helicopter, you'll depart southeast from the airport following the intra-coastal waterway to Anastasia Island. This River Safari is among the most exciting fresh water tours that Florida has to offer. 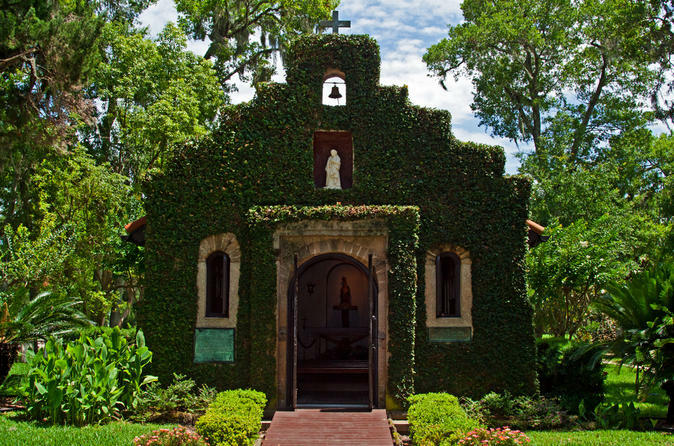 Experience the freshwater tributaries along the beautiful and historic St Johns River. Observe various freshwater wildlife and vegetation that include American Alligators, Turtles, Reptiles, West Indian Manatees, Bald Eagles, Blue/Gray Herons, Egrets, Wild Boar, Deer, Cypress Trees, Lily Pads, and other wildlife and vegetation that inhabit the banks of our freshwater rivers and creeks. 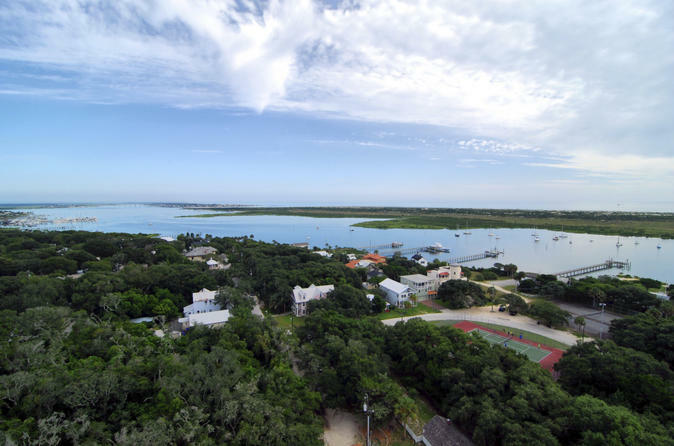 This tour is approximately 1.5 hour(s) in duration, and include a thrilling ride through parts of Trout Creek, Six Mile Creek, and the Bayard Conservation Area which are all located in the western most side of St. Augustine/St. Johns County. Visit the very first Ripley’s Believe It or Not housing some of Robert Ripley’s private collection. 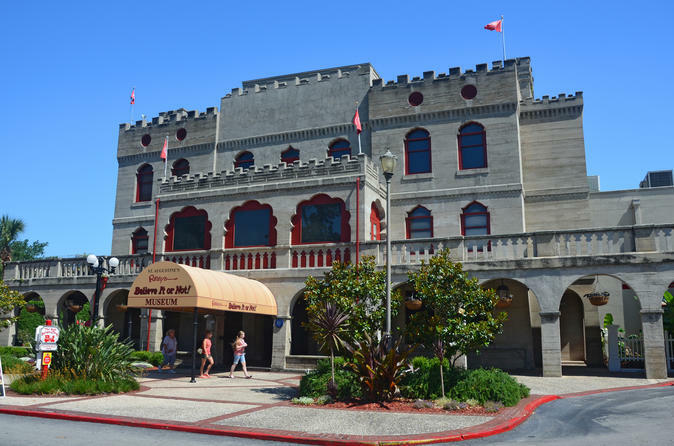 Ripley’s features three stories of fun and interactive galleries with the odd, the unusual, and downright unbelievable. How do you measure up to the world’s tallest man, learn how to shrink a human head, and learn the secrets of Ripley veterans in the “How’d They Do That” gallery. Also enjoy the all new “Believe It or Not Bugs” and “Space Oddities” galleries. 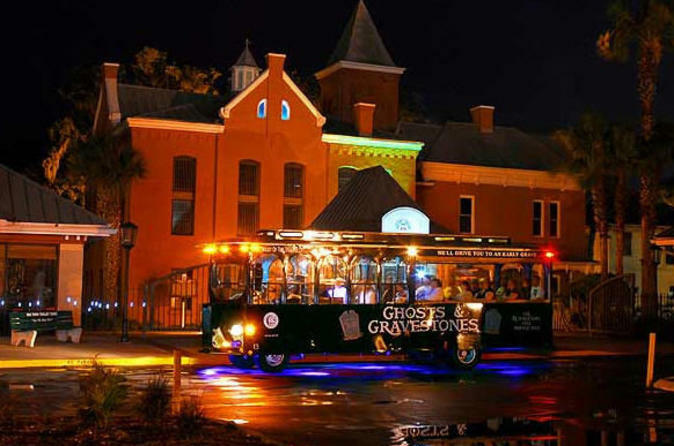 Enjoy a casual but spooky stroll through the old streets of St. Augustine and experience the chilling thrill of stories from the departed! This tour is family friendly, pet friendly and wheelchair accessible. Departing east from the airport in St. Augustine, approx. 98 miles from Orlando, take to the skies by helicopter and soar over the intra-coastal waterway to North Beach. You'll enjoy a breathtaking view of the beach and coastline as you fly low and fast to Porpoise Point. The World Golf Hall of Fame and Museum at World Golf Village in St. Augustine, Florida tells the stories of its 150 members, plus the history of the game through displays of more than 4,000 artifacts and pieces of memorabilia, photography, art and video. Visitors should plan to spend at least 2-hours in the 70,000 square foot museum. 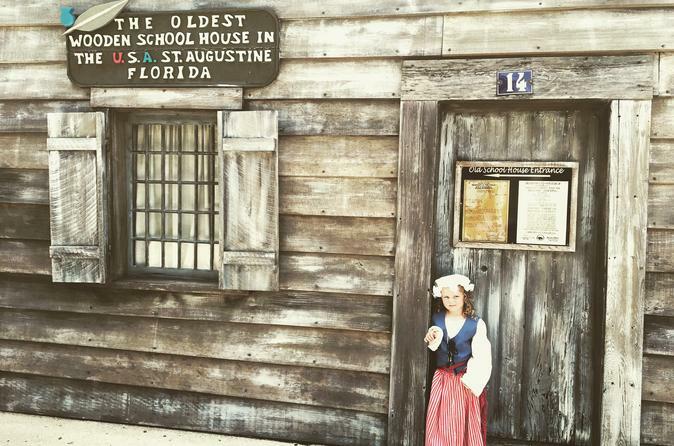 This Pirate themed walking tour specifically design for all ages, takes you back in time inside the nation's oldest city! Your adventure begins by meeting your authentically outfitted certified guides. Take a walk using tools such as spyglasses, compasses, striking flint and steel to make sparks and more! Not only while learning the facts of Pirates throughout your tour, you get to feel the history by holding and touching real archaeological artifacts found right under your feet! Lastly, raid the town like pirates of old gathering treasures to take back to your home port!! 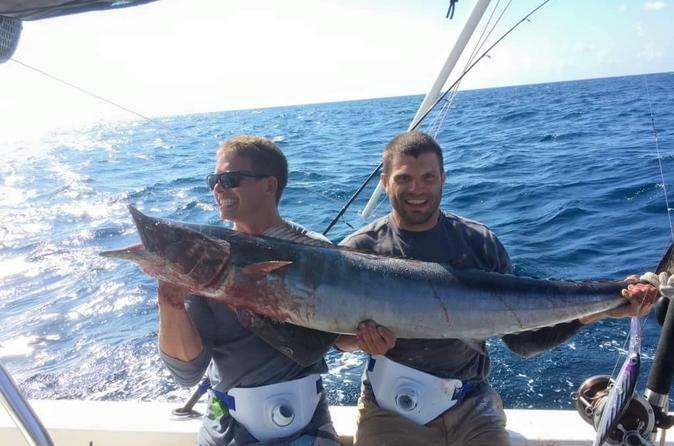 Prepare your crew for an action packed day of offshore fishing in the deep blue ocean! Fishing from as close as 6 miles offshore, all the way up to the waters of the Gulf Stream 60 miles offshore. Expect to encounter species such as wahoo, tuna, Mahdi, grouper, snapper, trigger fish, sharks, dolphins, turtles, and much more! 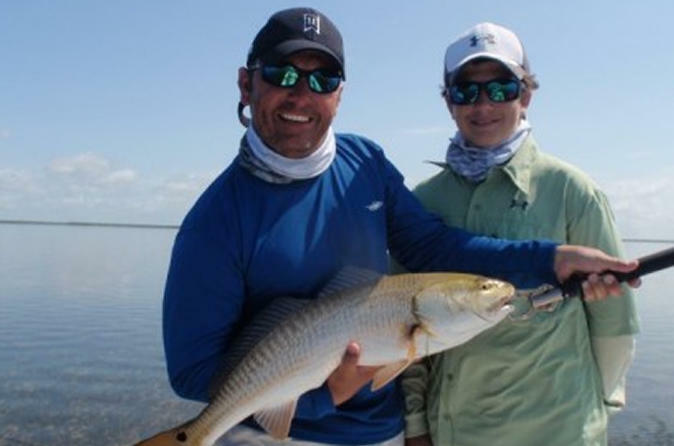 Fish St. Augustine and experience the inshore backwaters of Matanzes River, Tolomato River and Salt run which have an abundance of Redfish, Tarpon, Spotted Sea Trout, Flounder and Cobia. Just minutes from famed sandy white beaches and overlooking the waterfront resorts. St. Augustine has all types of fishing in an eye’s view. View the beautiful scenery, while experiencing the thrill of a chance to catch the local inshore favorite, “the Redfish” as well as other species. A fishing enthusiast may choose to chase the resident fish, but there is a lot of variety for every angler. All charters are guided by a licensed Captain in a modern inshore flats or bay boat. 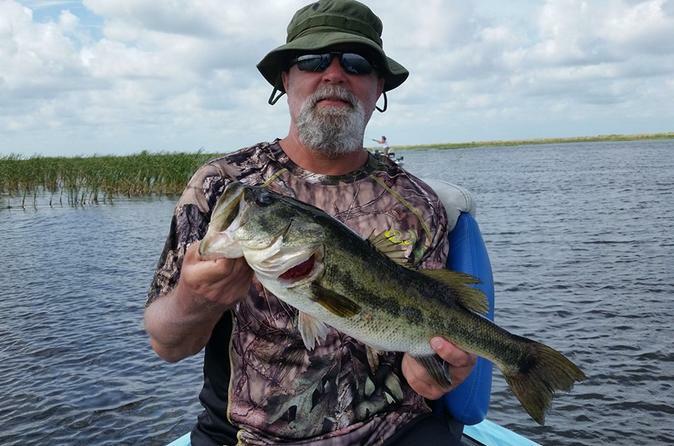 Captain provides the fishing rods and reels, right and left handed and all the tackle you can use, as well as all other necessities including safety equipment. 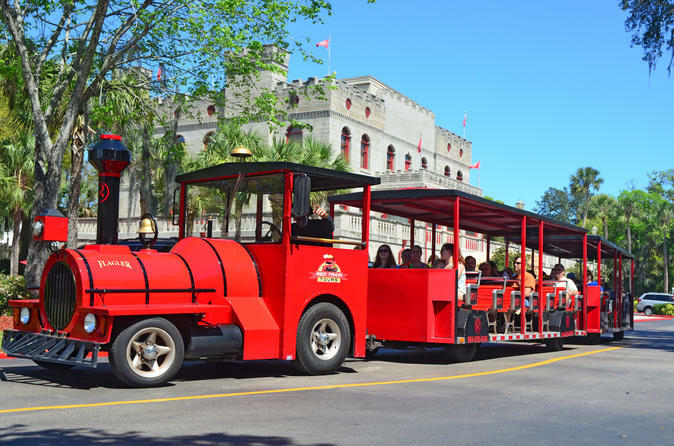 Ripley’s Red Train is the city’s oldest tour and still the best value! 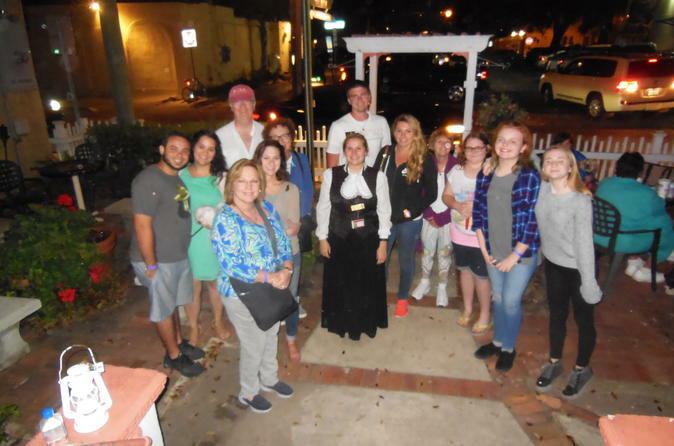 Your knowledgeable tour guides will take you back more than 450 years as you visit 20 convenient attractions, historic sites, restaurants and shopping. Feel free to hop on and off throughout the day as tours leave every 20 - 30 minutes from 9am to 5pm. Rodman Reservoir has legendary status for the number of trophy bass it has produced over the years. 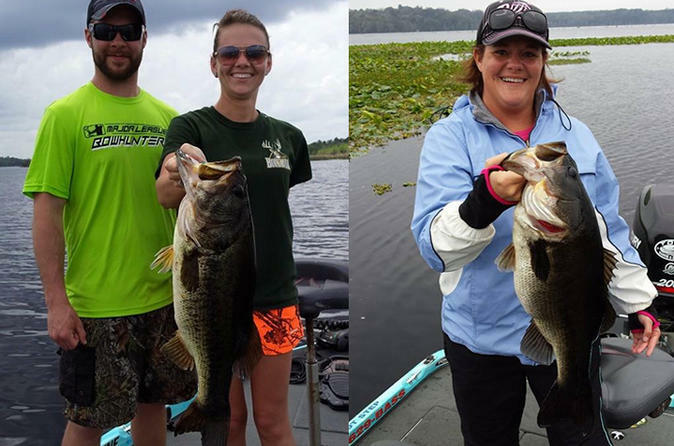 It has been consistently ranked as one of the top ten best bass lakes in Florida and the country. View its creatures in their natural habitat while experiencing the thrill of fishing trip. 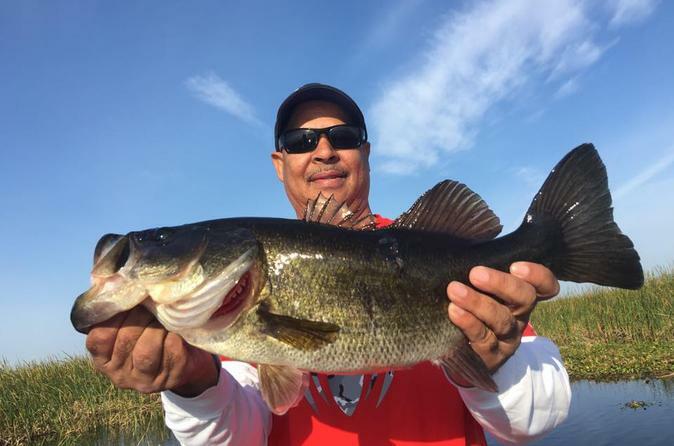 Birds and Alligators flourish in the abundance of vegetation making it a bird watcher's heaven and a photographer’s paradise, but for anglers it’s truly both. Bring your hat, sunglasses and cell phone and be ready to take pictures of our catch of the day. 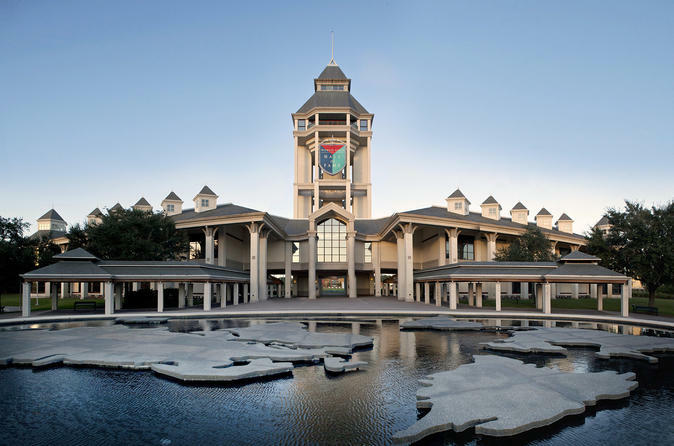 The World Golf Hall of Fame and Museum at World Golf Village in St. Augustine, Florida tells the stories of its 150 members, plus the history of the game through displays of more than 4,000 artifacts and pieces of memorabilia, photography, art and video. Visitors should plan to spend at least 2-hours in the 70,000 square foot museum. 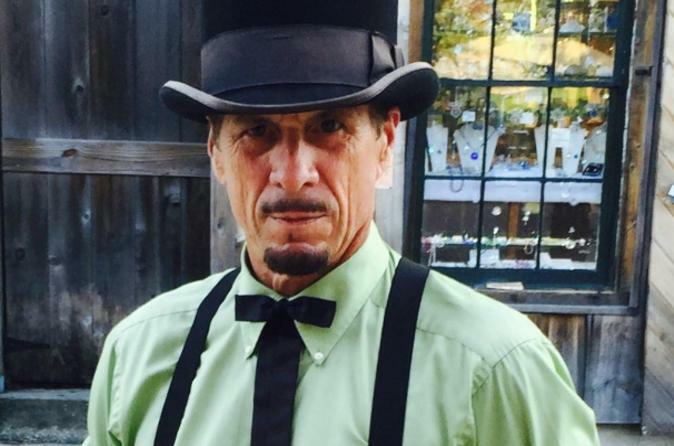 A private tour option is also available. 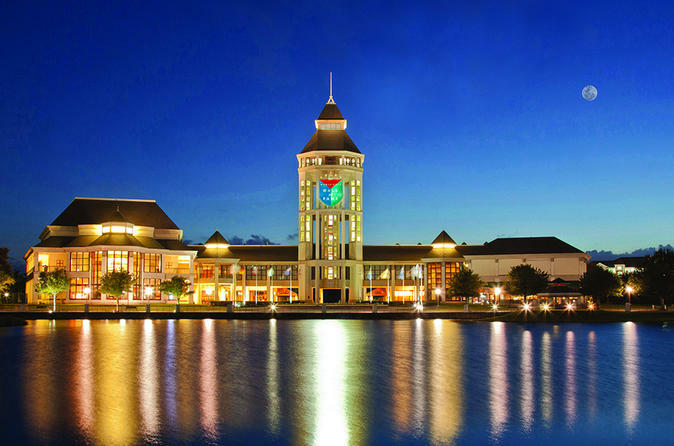 Private tour of the World Golf Hall of Fame & Museum includes; one round on the 18-hole natural grass putting course and shot at TPC Sawgrass 17 replica challenge hole. Also includes in Adult ticket only, commemorative poster, HOF bag tag and gift shop discount (not included in Youth or Child Ticket). 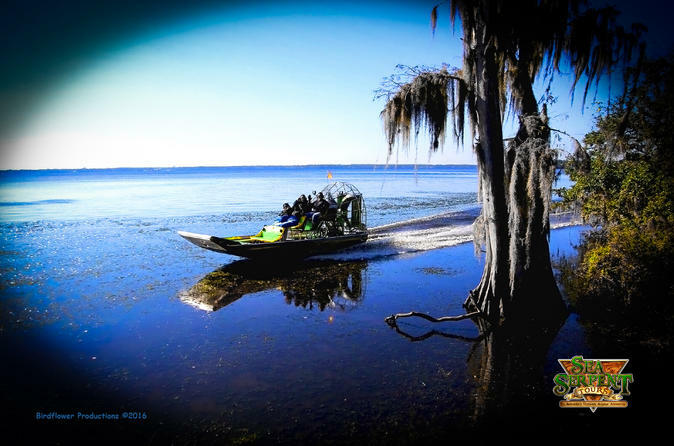 Explore Rodman Reservoir, a historic extension of the St. Johns River with your licensed captain and view its creatures in their natural habitat while experiencing the thrill of fishing on this 8-hour trip. The reservoir is legendary for the number of trophy bass it has produced over the years ever since it was created and has been consistently ranked one of the top ten best bass lakes in the country. This activity is suited for first-timers and experienced anglers. If your not fishing, your captain will ensure that you have a memorable time by providing a tour and sightseeing experience as well. This charter is great for all ages and the boat is accessible for all physical abilities. Rods and reels (right and left-handed), tackle and safety gear are included. 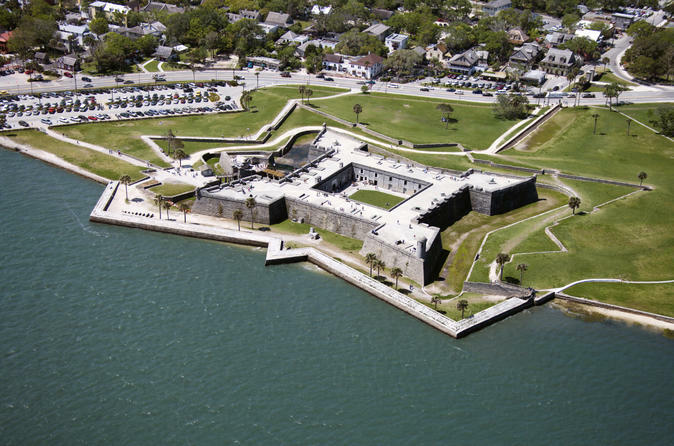 Enjoy the panoramic sites over St. Augustine and Porpoise Point aboard a guided Helicopter Tour. Soar over intra-coastal waterways and North beach for an unforgettable sightseeing experience.